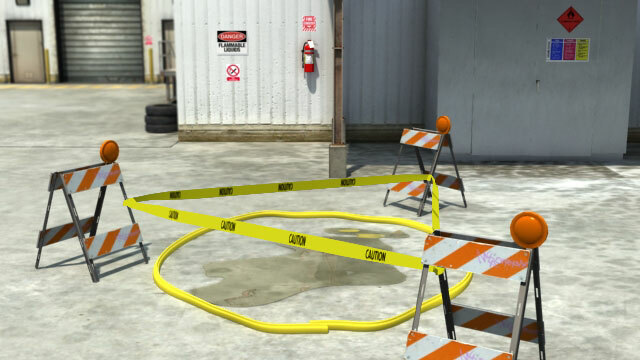 If flammable or combustible liquids leak or spill, isolate the area to keep other people out. 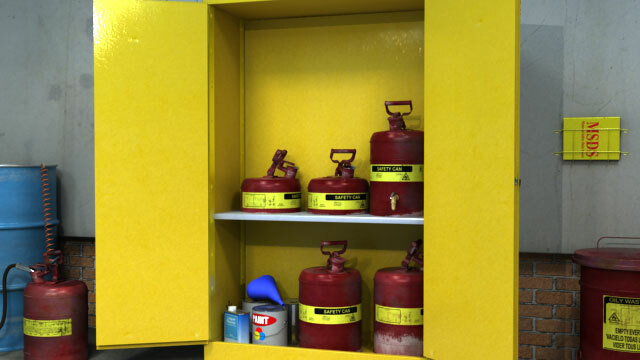 Place safety cans containing with flammable liquids inside fire-resistant flammable lquid storage cabinets or rooms. This course provides important information on flammable and combustible liquids found in a variety of industrial workplaces. Based on OSHA standards, this course helps raise awareness of the potential hazards presented by common workplace products while offering practical instruction on labeling, storage, handling, and managing spills and waste to help establish safe work habits for yourself and your team. 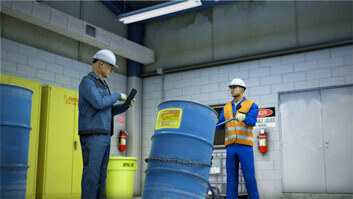 What are common flammable and combustible liquids present in most workplaces? 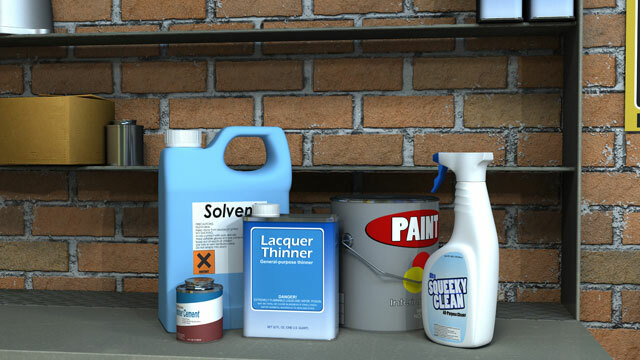 Fuels and common products such as solvents, thinners, cleaners, adhesives, and paints may be flammable or combustible. 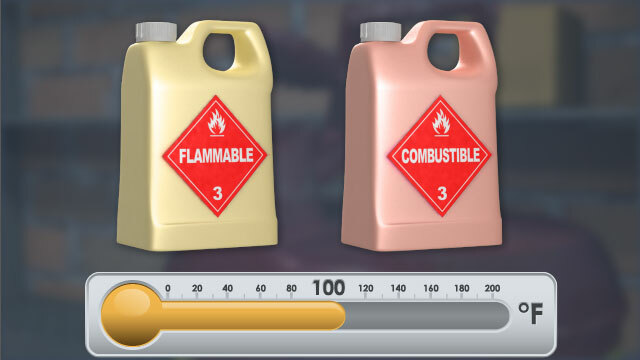 What is the difference between flammable and combustible liquids? 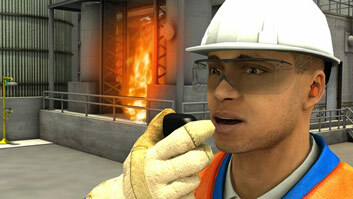 Flammable and combustible liquids are liquids that can burn. The main difference between the two is that flammable liquids can catch fire and burn easily at normal working temperatures, whereas combustible liquids require higher than normal temperatures to ignite. The technical classification of these liquids is based on their flash points. How should work environments plan on controlling any hazards involving flammable and combustible liquids? The plan should include at least these components: identification of flammable and combustible liquids, identification and control of ignition sources, proper storage of the liquids, ventilation, fire control, and safe handling of the liquids. 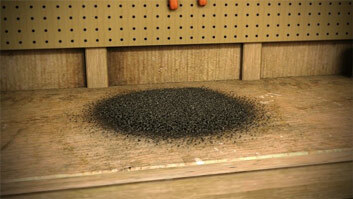 What are some potential ignition sources that could lead to fires or explosions? Ignition sources include: sparks and open flames, including smoking, welding, and cutting; hot surfaces, sources of radiant heat, and heat caused by friction; chemical reactions that produce heat; and electrical or mechanical sparks, including lightning and static electricity. 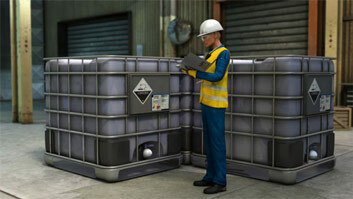 How should workers store flammable and combustible liquids? 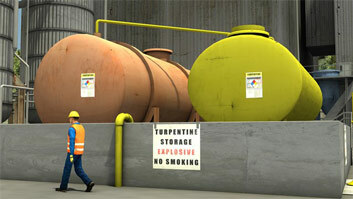 Always store flammable and combustible liquids in closed metal containers or safety cans when they are not use. This prevents fumes from mixing with the air. Safety cans for storage and transfer must: be approved for this use, be constructed of metal, hold no more than 5 gallons, and have a spring-closing lid, a spout cover, and a flame arrestor screen. Once unused flammable liquids are stored in safety cans, place the cans inside fire resistant flammable liquid storage cabinets or rooms. This helps to protect the liquids from ignition sources. Storage cabinets must be constructed of metal, equipped with a door seal that's raised at least 2 inches above the bottom of the cabinet, equipped with doors that lock at three points, top, middle, and bottom, and clearly marked, "Flammable, keep fire away." Storage rooms are rooms that are specially designed to prevent the spread of fires. They are typically well ventilated, cool, dry, free of ignition sources, and labeled to indicate that they contain flammable liquids.